Hello Happy Site Owners! 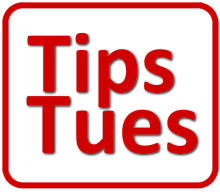 This is the BlogAid Tips Tuesday Podcast for May 21st 2013 and I’m your host, MaAnna. This week’s tips include the latest host hit by the rolling brute force attack, a plugin to give you accurate bounce rate stats, a new comment spam filter plugin, big updates to Gravity Forms, a clue that Google is focusing on brand pages, conversion tips that work, and guides to help you get YouTube One set up. So let’s dive in. Listen to the podcast. Google is giving big perks to those who have established a single verifiable digital identity and connected it properly to all their online content including blog, social media, and video. That means higher rankings and more visibility for you by making G+ the connection hub. Join me and expert guest Ronnie Bincer on a free Fix Your Google Accounts webinar to see how to map your current Google Account connections and then rearrange them to get all the Google sugar you can. It’s on Wed May 29th. And you’ll want to download the free report to get started on mapping your accounts beforehand. And, if you have any doubts about just how powerful G+ perks can be for your business, including the idea that your clients have to be there before you do, see my post from yesterday on why you must get on G Plus now or get left behind. I generally record Tips Tuesday a day early and right now we are still on the Beta 3 release of version 3.6. The first release candidate was supposed to be out on the 8th. So they’re about a week or two behind. I’ve had to suspend making more video tutorials until we get to the release candidate because too many of the tutorials that are left involve places where they’re working out bugs. Just an aside, do you know where the term bug comes from? It’s from back in the day when computers used mechanical relay switches and one of them failed to make a connection because a moth flew into it and the relay couldn’t fully close. When the tech went to see what was wrong, he literally found a bug. Once it was removed, the program could run. That’s your trivia for this week. This is sort of WordPress News. Yahoo just purchased Tumblr for $1.1 billion. Yahoo desperately needs a positive cash flow as quickly as possible from this deal, which has led many to speculate they will monetize it with ads very soon. That has a lot of folks jumping ship and going straight into the arms of their main competitor, WordPress.com. As WP Daily reports, the folks at WP.com normally import 400-600 posts an hour. This past Sunday they were importing 72,000 an hour, and that was just on the rumor of the what might happen on Tumblr. I know a lot of folks who have Tumblr blogs, probably even several, with spun content that sends backlinks to their main website. They won’t care how Yahoo monetizes it. I’m hoping those are not the only folks left on Tumblr, because the quality will truly go downhill fast. On May 14th, John Saddington reported on WP Daily that Dreamhost was Slammed with the Brute Force attack. so it’s still alive and rolling. I first experienced it on my client sites on Bluehost. And then a few weeks later on HostGator. So, it’s hitting all of the most popular host providers for WordPress sites. How has your site faired? Oh, and I got a little inside tip from a server engineer on the whole botnet thing too. Seems shared hosting accounts do better than dedicated or VPS. When those higher priced ones see 500 rapid fire login attempts, they start blocking all IPs. In other words, nobody gets in. Yeah, it keeps it from crashing the server, but it also keeps anyone from accessing it for anything until the attack subsides too. So, if you’re on a host that is experiencing issues like sluggish service, don’t let your hosting company talk you into upgrading. It won’t help. Dedicated hosting doesn’t mean a whole server is dedicated to your site. It means that it has dedicated services attached to it. So, it’s still shared hosting, just more like a higher priced apartment with a gated entry. You may also remember from a previous Tips Tuesday that I mentioned a new plugin called BruteProtect. It’s a cloud based solution and works on failed login attempts similar to the way Akismet tracks spammer IP addresses. It will work best with mass adoption helping to keep us all safer. Have you installed it yet? I did, and it asked me to deactivate the brute force plugin I was already running. It also puts a math CAPTCHA on the login, so I have to go through one more step when I log in too. Later it reminded me that I have to get an API key for it. Unlike Akismet, the API key requires no donation. And you do it all through your site. There will be a link in an error message on your site, or you can find a link for it in your Plugins sub-link menu. So, be careful to do that last step or your site won’t be protected. I’m actually surprised they didn’t list it under the Settings menu, like most other plugins do. One tip. If you look this plugin up in the repository, there is no space between the words BruteProtect. If you have a high bounce rate you may want to check out this plugin called Reduce Bounce Rate. Now, the way it does that is not any ploy to keep folks on your site longer, but by updating Google Analytics every 10 seconds about visitor activity on your site. In other words, it gives you a more accurate calculation of how long visitors are staying and their time on each page. You’ll want to read their full description of it on the plugin’s page. And, read the FAQs page too for site requirements and settings. Here’s a plugin I was anxious to give a try. It’s called Spambot Trapper and it promises to knock out spam before it ever hits your cue. You may recall a previous post explaining why I took off CommentLuv. Well, my site is still on some dofollow list and it’s being hit hard by spambots. I was running GASP along with Akismet and that helped, but not enough. Then I switched from GASP to Bad Behavior. It’s about the same. So now I’m running this plugin to see if it clears up my cue. It’s been going for about three days now and I can’t really tell any difference yet. Gravity Forms released a major update. It has a lot of new features and bunches of bug fixes. So if you use it, go check that out. I’m also hoping he will include the coding for identifying the logo better, and here’s more on that. The Google Webmaster Central blog has an interesting post titled Using schema.org markup for organization logos. The reason I find this interesting is because it might be an indication that Google is getting ready to dole out perks for using the rel=publisher tag to connect your site to your G+ Brand Page and show your correct logo in Rich Snippets. Titles are the most important thing you will write on your site. But, they’re not all about sticking in as many keywords as you can for SEO. The goals, and there are two, are to get found and clicked. Once folks do click, you want them to convert. And conversion is not just about selling something. Enticing folks to sign up for your email list, or follow you on social media, or share your posts is also conversion. On Quick Sprout, Neil Patel has a post on 10 Ways To Create High Converting Headlines that gives you examples and ideas of reworked headlines that boosted conversion from 28%-88%. Are you looking for ways to monetize your blog? See how Darren Rowse aka the ProBlogger did it. Read his post 12 Blogging Income Streams [And the Story of My 10 Year ‘Overnight’ Success]. The 2013 YouTube Marketing Guide has been posted on Kissmetrics. I switched to the new One Channel design about a month ago but hadn’t really optimized it. And they’re now calling it YouTube One and that layout becomes mandatory on June 5th. This Guide has several good pointers for that plus tips on making a good trailer video for non-subscribers. I’ve got some ideas for that running around in my head. And when I finish making all the new WordPress 3.6 videos and then updating those in the MailChimp video course for their big new rollout in June, I might go play and make a really fun trailer. And Bertrand Do has a super PDF on the YouTube Revolution that covers how to setup a new channel and configure the new YouTube One design. This PDF is in advance of the release of his ISP Tube Edition V2 software that allows you to create branding for your YouTube One channel with zero graphics skills. I’m really looking forward to it. If it’s anywhere near as good and easy to use as his lower thirds creator for Google Hangouts, it’s going to be awesome. That’s a wrap for this week’s Tips Tuesday podcast. You can find this podcast on iTunes, as well as Stitcher, and the Blackberry Podcast. You can also subscribe directly to the blog posts to get them via email. Visit BlogAid.net for more tips, tutorials, and free resources to make your site better. Brand logos are an indespensible part of a marketing campaign. The comprehensive set of tips are just too good and extremly useful at one go. The SEO tips as well as the conversion tips are indeed very important. Thanks for the share.